In 1996, after careers as a radio disc jockey, an elementary school teacher, a health education television producer, and Director of Community Relations and Fund Development at Corning Hospital in New York’s Southern Tier, Deacon Ray fulfilled a life-long dream when he entered full-time church ministry. 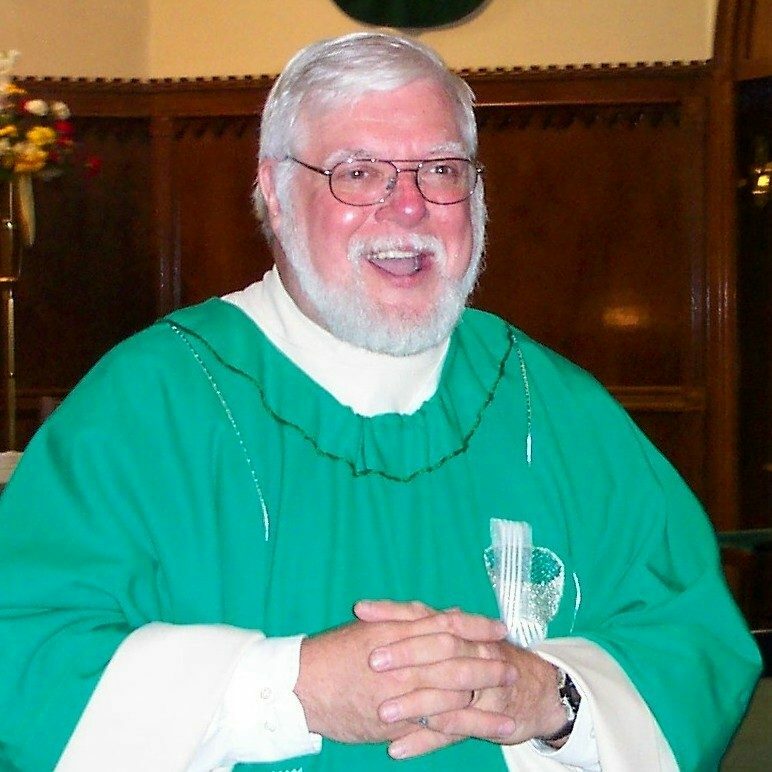 He has served as Pastoral Associate at All Saints Parish in Corning and Pastoral Administrator of St. James Church, Waverly, NY and St. Pius X Church, Van Etten, NY and St Mary’s Church in Bath, NY. He retired from full time ministry in 2009. In addition to songwriting, Deacon Ray is also a sought after performer and speaker. During fourteen years as founder and director of Celebrate Life, a music ministry for teens, he first composed, performed and recorded many of his original prayer-songs. 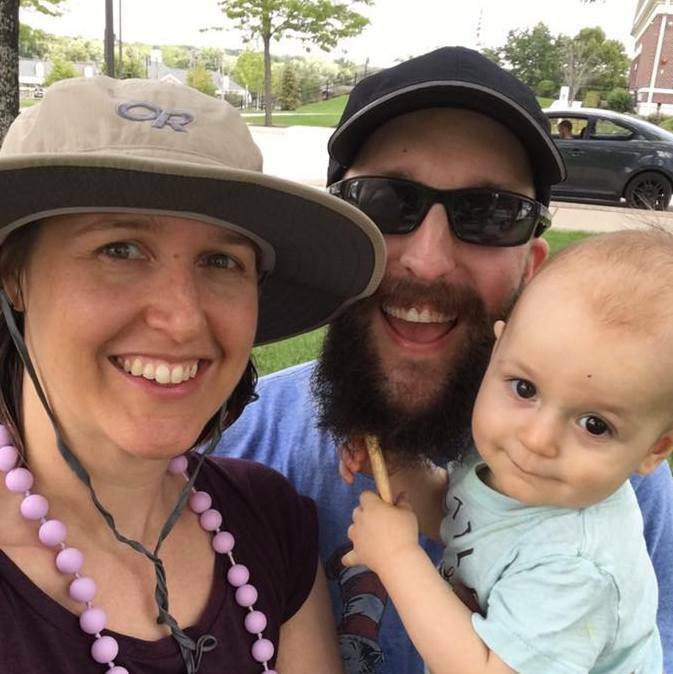 Over the years, he has been invited to speak and present concerts for churches of many denominations – interspersing his concerts with scripture, personal witness, humor, and preaching. 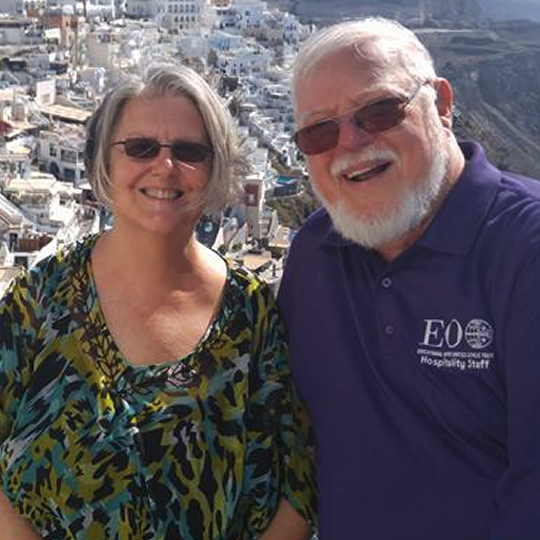 Deacon Ray and Patt are the parents of three grown children and are very proud grandparents of Jackson Gabriel, Samantha and Harrison, and Peter. 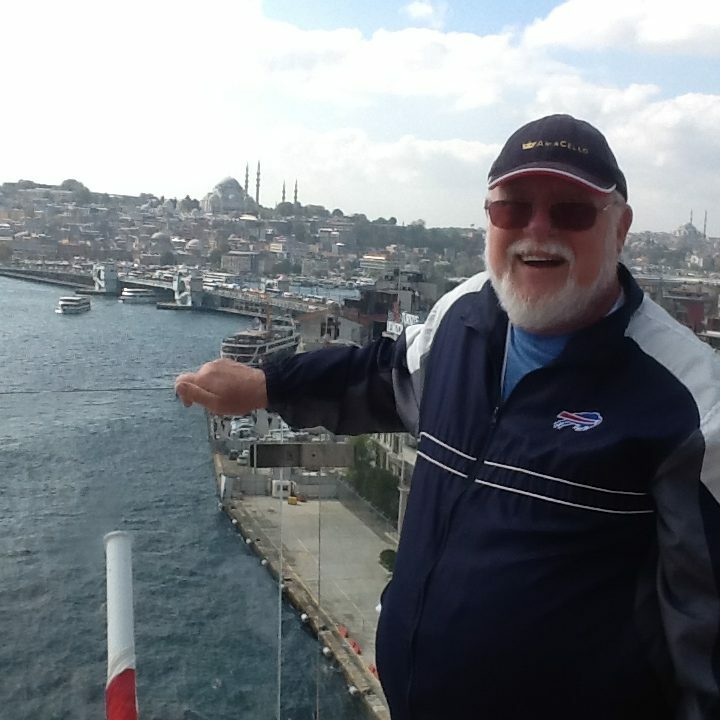 He is a member, a Paul Harris Fellow and past president of the Corning Rotary Club. 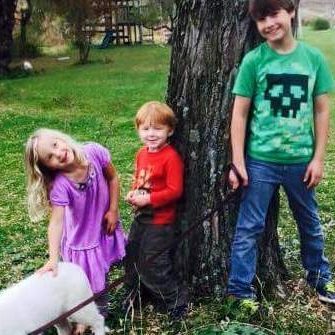 The grandkids, Jackson Koerner-Haskins (9), Samantha Koerner (5), Harrison Koerner (4) and Peter Krol (1) who is pictured at right with his parents Monica and Jeff Krol are such a joyous part of our family. Deacon Ray’s interests also include Theatre and Health Care. He helped to create the Health Ministry of the Southern Tier (HMST) which for 18 years used volunteer physicians, dentists, Nurse Practitioners, Nurses etc. to provide free medical and dental services to people without insurance or means of payment. He has also helped start community theatre companies in Corning, Waverly and Bath, NY and has personally produced and directed several productions including Godspell, JC Superstar, Joseph and the Amazing Technicolor Dreamcoat, and Nunsense. All true ministry is rooted in relationships that inspire, and motivate us. 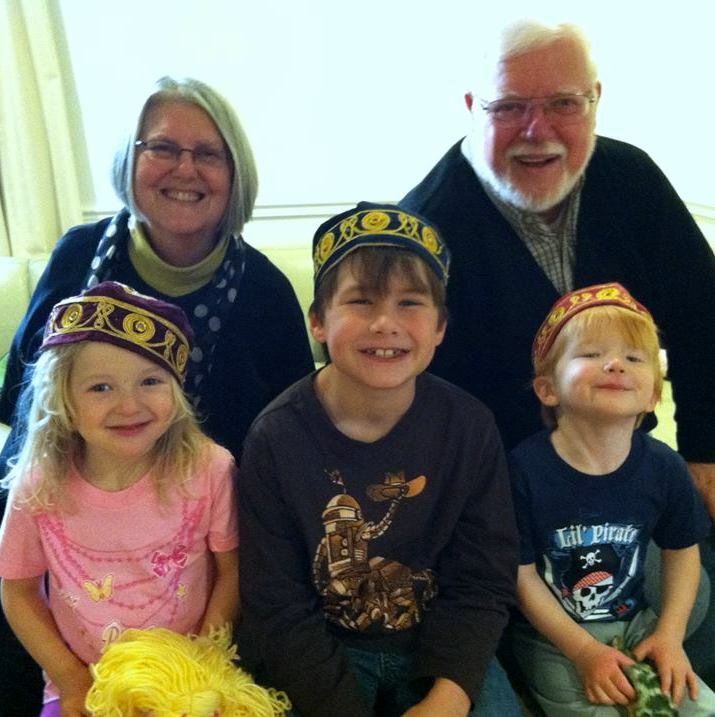 I am especially grateful to Patricia Best Defendorf, my spouse of 49 years, whose love and patience has opened the door to all other ministries. Since a very young age, I have felt God’s call to use my gifts, to share the Good News of God’s love. For 35 years I have done this through the gift of my ordination as a permanent deacon. God is good! Always and forever.Trust in God and the mutual fidelity promised through wedding vows is the key to the strength and permanence of any relationship. My fidelity to the vocations of husband and deacon are paramount to my life, my happiness and ministry. On Sunday, May 29, 2017, deacons from around the world gathered in Rome for a Deacon Jubilee of Mercy Conference and Papal Mass. On behalf of Educational Opportunities Catholic Travel, I hosted 93 people (including 33 deacons and 3 priests) on a Pilgrimage to Assisi and Rome which culminated with visits to the seven Pilgrimage Churches of St. Lawrence, a Procession through the Jubilee Year Holy Door, the Deacon Conference, and Papal Mass. Shortly after registering my group for the Jubilee of Mercy events, I received an email from Fr. Geno Sylva, the priest responsible for coordinating participants in the Jubilee Mass for Deacons. Father Sylva requested the names of two deacons from my group willing to serve in some way at the Papal Mass. Without hesitation I offered my services and that of Deacon Doug Bogart of the Diocese of Phoenix who was hosting a large group from his diocese on our pilgrimage. AN EXPERIENCE I SHALL TREASURE ALWAYS! It was not until the Saturday morning rehearsal on the Steps of St. Peter’s that our roles were revealed. 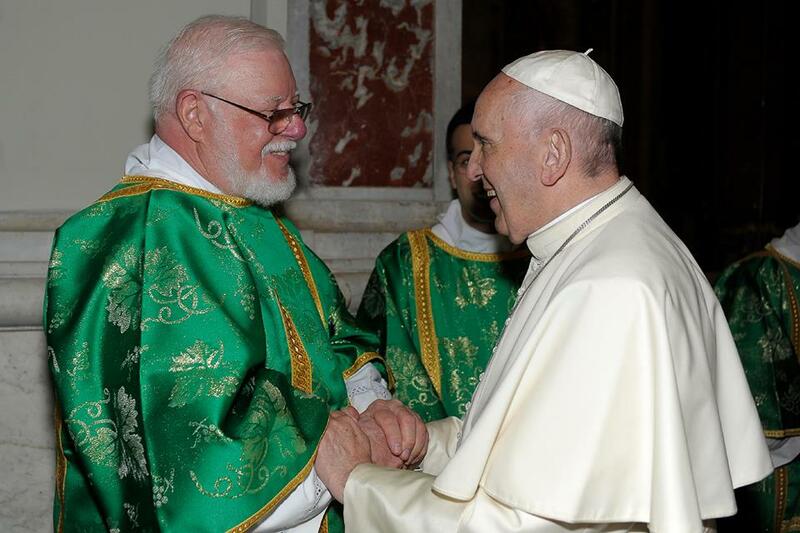 Surprisingly, I was one of two deacons invited to serve at the altar with the Holy Father. Arturo, a deacon of 10 years from Mexico would stand to the Holy Father’s right, incensing him and Assembly as the Mass began, assisting in receiving the gifts and placing them on the altar and elevating the Cup at the Great Amen. I was asked to stand to the Holy Father’s left, receive the gifts at the Offertory and set them on the altar. 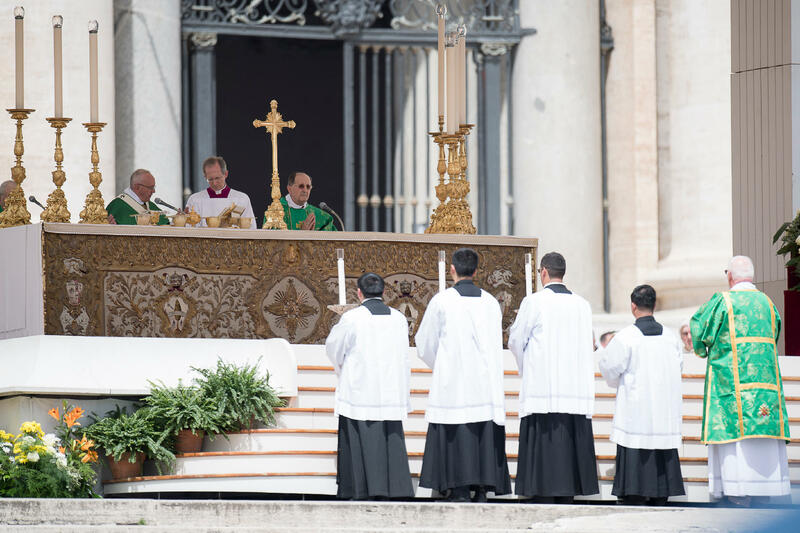 During the preface and singing of the Sanctus, I would proceed (with seminarian servers) to the steps in front of the altar to incense the sacred elements during the elevation of the Body and Blood of Christ. Both Deacon Arturo and I were invited to share a Sign of Peace with the Holy Father and receive Holy Communion from him. Francesco, a young transitional deacon (preparing for priesthood) was invited to proclaim the Gospel in Italian and sing the prayers before and after the proclamation and the Sending Forth prayers at the end of Mass in Latin. 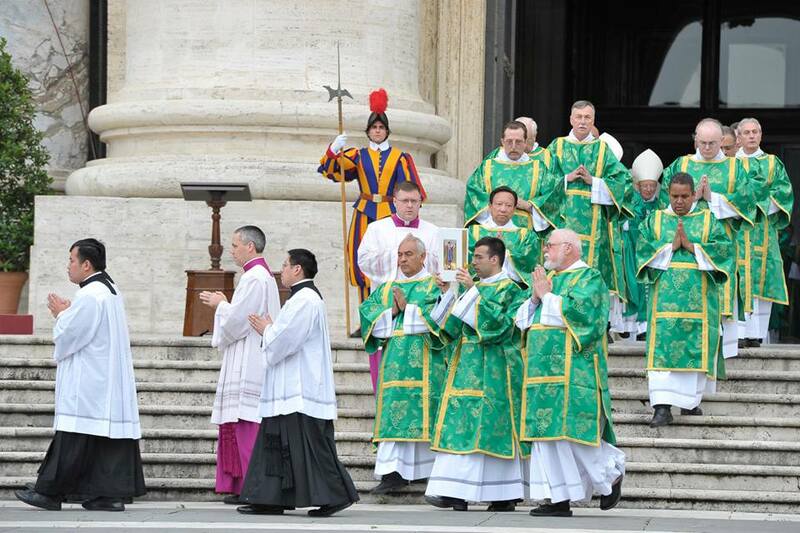 Other vesting deacons would form an honor guard for the Holy Father and receive Holy Communion from him. Others of the 1600 deacons in attendance received a commemorative white stole bearing the Jubilee of Mercy logo and were seated to the right and left of the altar along with about 30 concelebrating priests. Wives of deacons and special guests were seated in a section reserved for them at the front of the main assembly area. As you can imagine, the blessings I received from this unexpected opportunity will be among the most cherished of my life. The pictures accompanying this article are a treasured reminder of this day. Before the Papal Mass, I had the opportunity to meet Pope Francis in the Pieta Chapel of St. Peter’s Basilica. It was an honor that I will never forget. All I could say to him was “Thank you. Thank you for all you are doing.” which to me sounded so inadequate. In my heart I knew that I was meeting a future saint who would be remembered for restoring the spirit of Mercy to the Church. 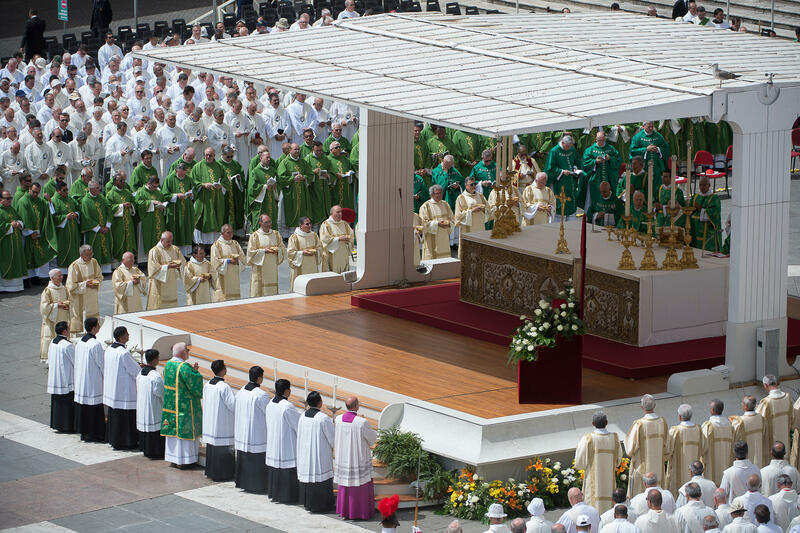 After vesting in the St. John Paul II Chapel and meeting briefly with the Holy Father in the Chapel of the Pieta, the Papal Mass began with a procession out of the Basilica into St. Peter’s Square where after reverencing the altar we proceeded to our assigned seats to the left of the Presider’s Chair. 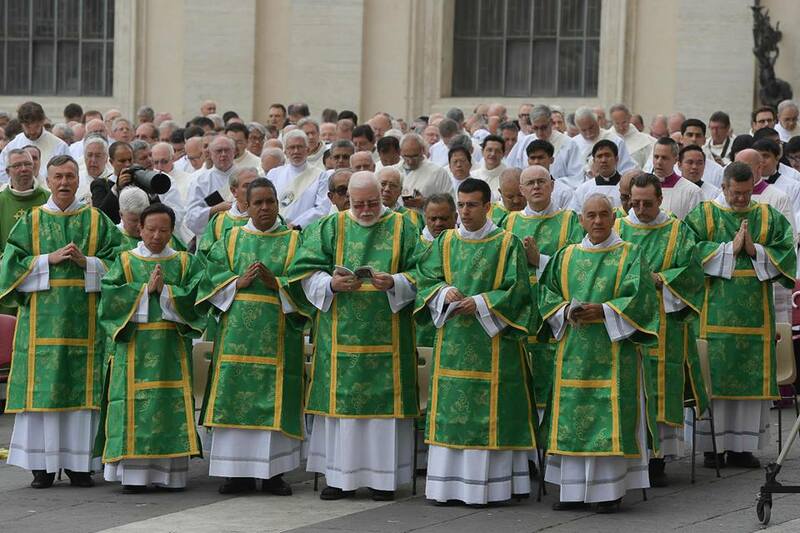 Deacons from around the world (1600 in all), gathered for a Deacon Jubilee of Mercy Conference and Papal Mass. At least one, me (front row third from right),needed to use the English translation from the Mass Program. Pope Francis begins the Prayer of Consecration as I wait with servers (mostly Filipino seminarians) to incense the Body and Blood of Christ at the Consecration. 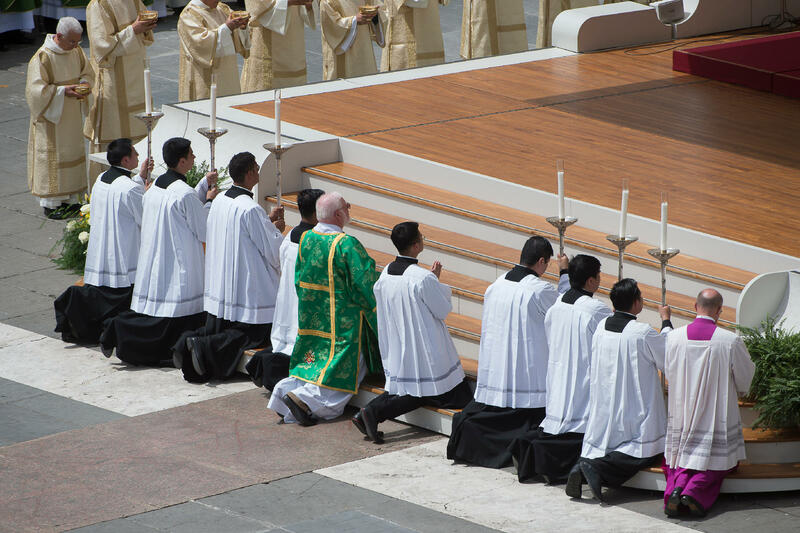 Kneeling with servers on the steps leading to the Papal Altar as Pope Francis says the Prayer of Consecration. Priests and Deacons who will distribute Communion to the 60,000 + people in attendance, hold ciboria with hosts to be consecrated.